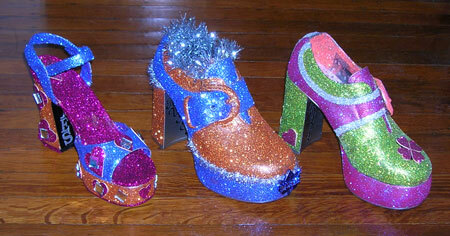 New Orleans City Council Passes Mardi Gras Rules Update!! It’s a fairly mild piece of legislation. For example, all ladders, regardless of height, now must be 6 feet from the street. This uniformity makes it easier for the police to monitor. 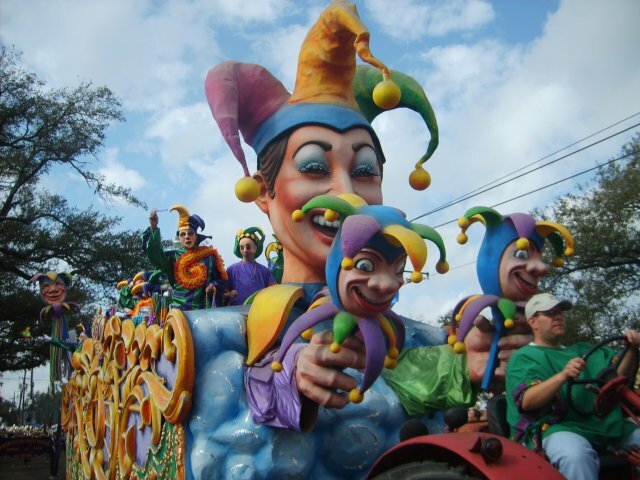 If you throw beads back at krewe members you will be fined $250 now. Some issues haven’t been decided yet. The toilet paper throw is back on the table with a different emphasis. Now, the unwrapped rolls are a ‘sanitation’ issue. That is a bull crap claim. 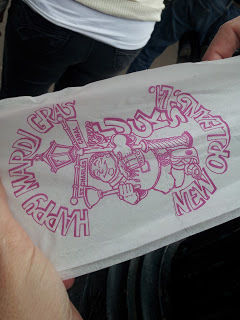 I don’t think the vast majority of parade goers who catch a roll of paper actually use it. If they do, it better be clean. If it fell in the dirt or the mud it becomes garbage. The roll in the picture below has an outer wrap, keeping it hygienic. Roll of Tucks Bathroom Tissue- Wrapped! If you place your private portable potty on public grounds, the company that rented you the unit will owe $250 to the City of New Orleans. That should cut down on the practice. 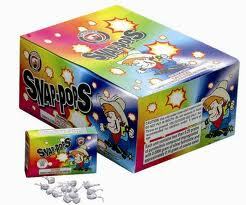 “Snap Pops” are now banned from Orleans Parish parade routes. The rationale here is the noise they create might scare horses. That’s not very true. 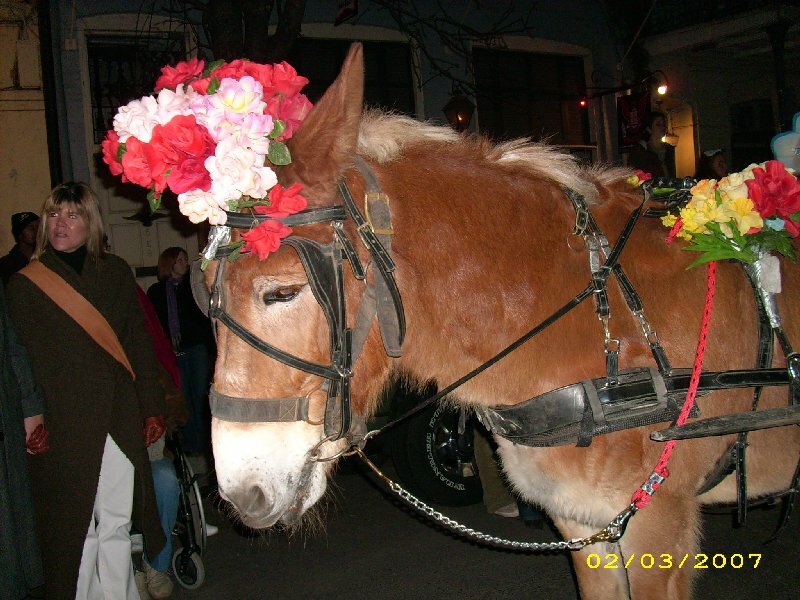 Horses and mules that walk the parade route are very seasoned concerning loud noises. They have to be- parade routes are full of noise, from police sirens to marching bands with lots of trumpets and drums. 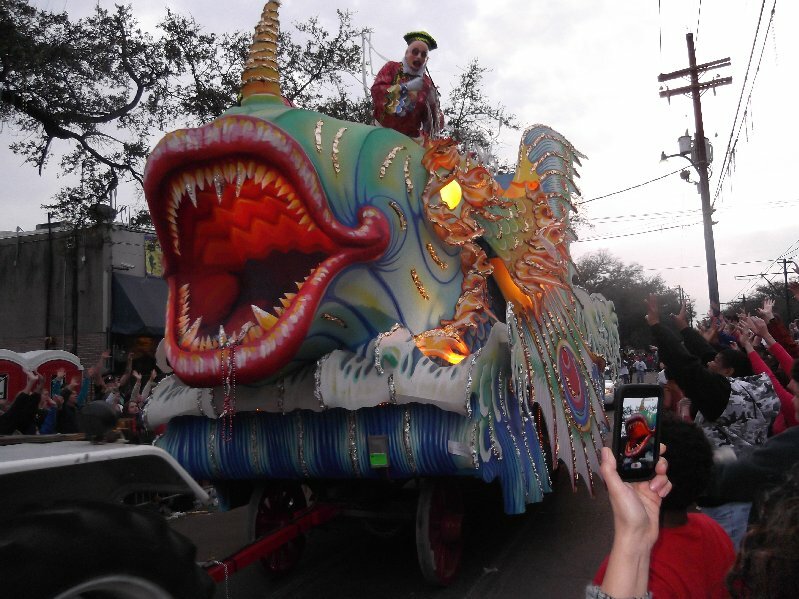 I march with Krewe du Vieux, and the donkeys that pull our floats are approached by all sorts of parade watchers and loud noise dominates our parade. The donkeys behave beautifully throughout the entire route. Also new this year- car riders can no longer perch themselves on the exterior of any auto. I guess the council considers this practice too dangerous? If you have a convertible, you are still allowed to have a single rider on the back of the open air car. For 2014, you cannot set up a bbq in an intersection while the parade rolls. This makes some sense, since it’s hard to move a lit bbq for an emergency vehicle. Lots and lots of ladders are still allowed to set up in intersections. They can be moved rather quickly, but a lot of ladders would take a few minutes to move. 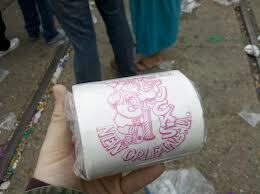 City Council Removes Toilet Paper Ban from Carnival Bill! 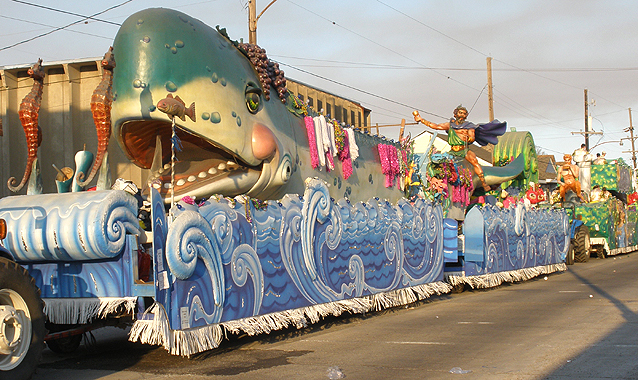 Orleans Parish Councilwoman LaToya Cantrell, District B is leading this effort to tighten up some Carnival rules. 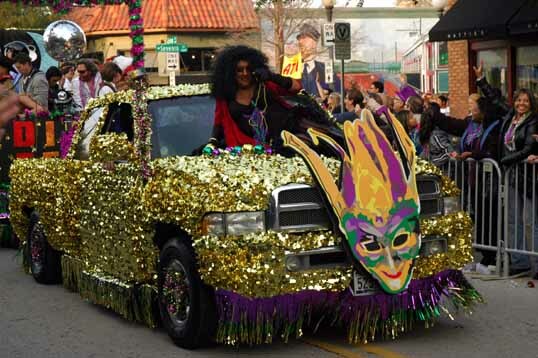 Some make sense like ending parking on the opposite side of St Charles during parades. I didn’t see the toilet paper ban coming by any means, I thought the City Council was busy with the city’s business and the upcoming election. Wrong! The Krewe of Tucks has already spent tens of thousands of dollars printing this year’s toilet tissue, and is shocked the ban is still part of the proposed ordinance. The throw is made in America, unlike beads which are extruded in China in gulag type factories. Toilet paper disappears during the first hard rain, unlike beads which last for years. 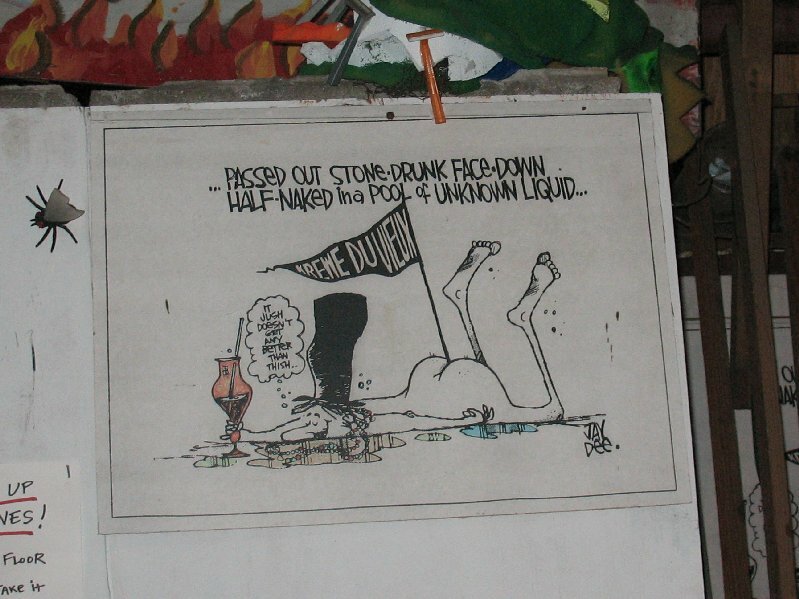 But as fast as this the toilet paper ban was presented by Cantrell it was withdrawn by Cantrell as the ruckus over this harebrained idea grew. Tucks is known for several throws but their icon throw is their toilet paper roll. Each sheet has the Tucks logo printed on it. 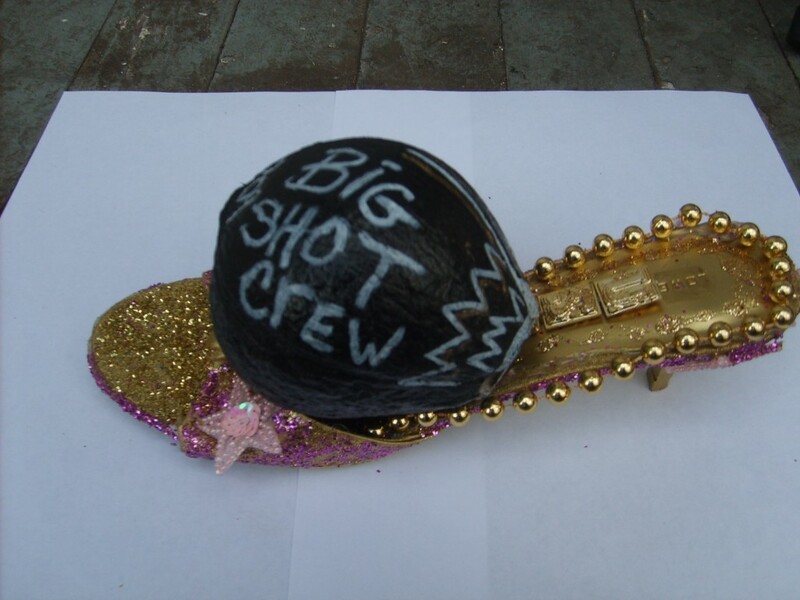 It’s not exactly on a par with the Zulu coconut, but it’s pretty high up there on the short list of icon throws along with Muses’ decorated shoe. 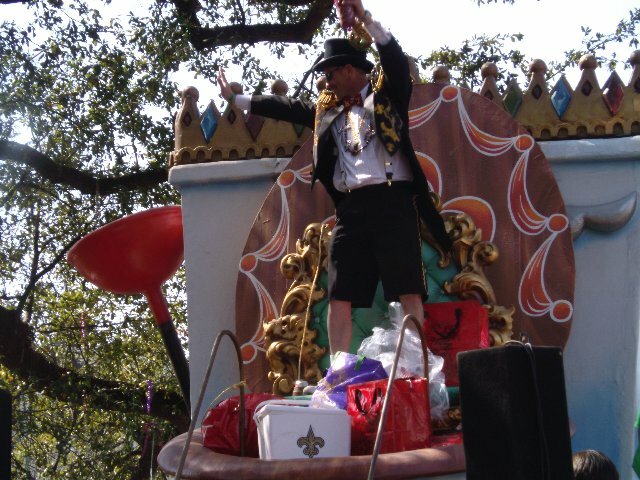 2010 Tucks Parade – the Toilet Guy! 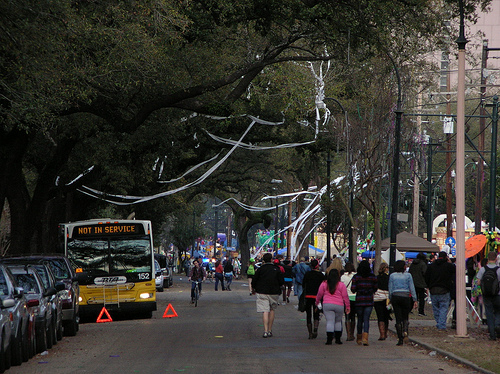 I spoke to some Uptown New Orleanians who don’t like St. Charles Avenue after Carnival with all the toilet paper on the majestic oak trees. Personally, I find the temporary effect surreal.